Today, after substitute teaching, I went out with one of my dear friends who teaches full-time. We discussed how teaching is more than an 8 - 4 job. It means being at school at 7:30, if not earlier. It means extra duty assignments that pay little of nothing yet require hours of extra work. It means grading papers, sometimes until midnight, because state standards tell you what must be taught and when to teach it. Another person at our table turned and said, "We could get a writing job like LuAnn has. Then we can work when we want to." Excuse me. I have a real job. I begin writing at 7:30 A.M, and I write until my husband comes home after a hard day of laboring on our farm. Quitting time for me is around 7 or 8 p.m. Sure, I might take an occasional break to make dinner or run an errand for him or even take an entire day to substitute teach. But when I finish there, I enter my office when I get home and I write. Why? Because it is what I enjoy doing. And yes, it pays the bills. I turned to said colleague and asked why people don't consider my writing job a real job. After all, I have publishing credits. And they are from publications in our area, so it isn't like they don't see my work. My friend said that maybe these other people consider writing a glamorous job and they find it odd that I can do that from the confines of my home office while I'm traipsing around my house in my PJs, if I so choose. Maybe they won't consider my writing a real job until I have won the Pulitzer or Nobel Prizes. Maybe they won't consider my writing a real job until I have written about them. Or maybe they won't consider my writing a real job that I thoroughly enjoy because they are not happy with their position. It reminded me of a poem by Marge Piercy entitled For the Young Who Want To. but you're a certified dentist. Reprinted from The Moon is Always Female, Alfred A. Knopf, Middlemarsh, Inc., Copyright 1980. 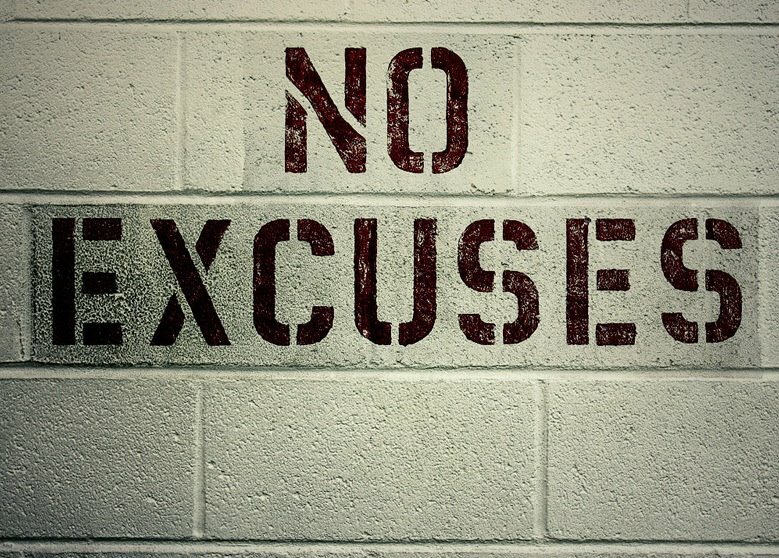 There is a difference between reasons and excuses. It's a fine line, but when you apply the concept to writing for a living, it becomes clear which is which. Do you write every day? Are you doing everything possible to seriously pursue a career as an author or freelance writer? Do you invest time, effort, and money to collect and use book and online resources, attend workshops, critique groups, and conferences to study the craft? Do you consistently seek out new information to learn more about writing and the business of writing? Is writing your passion above all other things you could be doing for a living? If you answered yes to all of these questions, go read someone else's blog today. If you answered no to any of these questions, read on and let's see if you have reasons or excuses for not following your dream and taking your writing seriously. "I just don't have time right now." = Excuse. One word: Priorities. Unfortunately, there is only so much time in the day. With other responsibilities like working a day job, higher education, parenting, and domestic duties, there will always be things lined up to consume every hour of your day. If you wait until you have time to pursue your writing career, it'll never happen. You need to make the time. When you decide your writing career is a priority in your life, you will find opportunities to spend that precious time working on something just for you. Decide your writing is important, make it important, and realize you deserve to spend your time on it. As women, we know sacrificing for others is viewed as noble, but we also tend to overlook the fact that all martyrs end up dead. And that's a sure way to guarantee your writing career will never get started. "I don't have enough money." 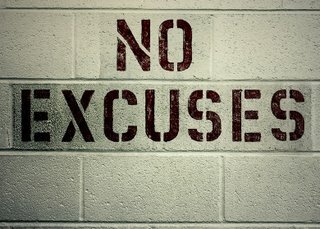 = Excuse. We've all heard the cliche that it takes money to make money. But the key word missing is easily. It takes money to make money easily. Sure, it would be great to have enough money to pay for the newest computer technology and software, a luxury office with all the amenities and a personal assistant. With that kind of money, you could hire private tutors to help improve your writing skills, and pay services to do everything from typing to submitting manuscripts for you. But then you would miss the journey of growing as a writer, working toward and earning your knowledge and experience of the craft. It doesn't take money. You can begin your writing career with a pen, a notebook, and public library access. Determination is the most valuable thing you can have and it's free. "I don't know how to ___________." = Excuse. Not web savvy? Unsure about how or where to start a blog, create a website, or dive into the social networking pool? Don't know who to query or how to query? How to write good dialogue? How to structure an article? You're not alone. No one is born knowing how to do these things--everyone must learn. Don't feel like you are too far behind everyone else, too old, too young, or too anything. There are books and online resources that can teach you anything you want to know about the craft or business of writing. Enroll in low-cost community college and adult education classes, join local groups made up of people who are interested in the same topics. There is certainly no shortage of information resources available. Seek out these resources. "I'm not an expert about anything." = Excuse. We all know that nonfiction writing--whether it's an article or a how-to book--requires expertise in the topic. You may not think you have expert knowledge about anything, but everyone is an expert at something. As women, we often undervalue the experience we have. But it's important to realize that 95% of the people seeking the knowledge we have to offer know less about it than we do. As an example: I was a single mother, sole support and care of my son from 0 to 15 years-old without any financial support or help raising him--and boy did I learn a lot. Everything from juggling work and parenting responsibilities, dealing with the structures of the public school system to homeschooling to team sports, advising him about developmental changes and sexual activity and relationships, guiding his education and shaping his values, teaching him life skills like common sense, money handling and budgeting, cooking and cleaning for himself; I taught him how to drive and how to defend himself--and the list goes on and on. I don't particularly think what I know from experience is remarkable in any way because it was just part of my life; however, to the new single mother who is bringing her infant home from the hospital--I have a ton of valuable knowledge she will need and benefit from. Take a close look at everything in your life--your job, education, culture, lifestyle, hobbies, experiences, etc., and you will discover topics you can write about that will provide answers for someone with questions. "There are already so many people writing about _______." = Excuse. The last stats I heard: approximately 150,000 new books are published each year. And with the technology that brings publishing to the people by way of subsidy and self-publishing, you can pretty much bet that number has more than tripled now. With the internet providing millions of websites for information consumers, the number of writers and amount of written material is staggering. It's intimidating and overwhelming, so why bother becoming a professional writer? Simple answer: because you have something to say, you believe in your message, you want to help, inform, encourage, or entertain people, and you really, really, really want to do this. There is only one viable reason for not pursuing your writing as a career: someone is reading this blog post as a eulogy at your funeral right now. Don't let your life pass without pursuing your dream. Just do it.